Children with autism have varying amounts of difficulty coping with day-to-day situations. Ordinary, everyday things like new foods, loud noises, or unfamiliar environments can cause them intense stress that can lead to behavioral problems or meltdowns. Many autistic children also need more help and instruction with skills like hygiene, grooming and manners than other children. Behavioral therapy can help those with autism learn how to condition their responses to these situations and develop basic skills. It can also help them learn ways to deal with stress so they don’t get overwhelmed as easily. A degree in applied behavior analysis will equip graduates to help children with autism improve their skills and experience less stress in their daily lives and routines. Applied behavioral analysis techniques can help children with autism learn coping skills. The methods used in applied behavioral analysis directly impact the lives of autistic children in positive ways. ABA uses scientific data to teach in the most effective ways possible. Techniques often break behaviors down into smaller parts. This helps determine the stimulus causing a child to react in a certain way. Desired behaviors are then rewarded and unwanted behaviors corrected or given a consequence. Another ABA technique is naturalistic learning, which lets the child set the pace for learning, making the teaching situation more comfortable for the child and for parents and siblings at home. Conditioned reinforcers are items or points earned for desired behaviors and sometimes exchanged for privileges, similar to a money system. Contingent observation is a way to teach children appropriate skills and behaviors by removing them when they don’t behave well in a group and having them observe children who are displaying proper behavior. By watching other children, they can model their behavior and fit better into the social group during future interactions. Different sensory experiences can help children with autism with their motor skills. ABA techniques can give children with autism the skills they need to function more effectively and have more successful lives. Many autistic children can grow into adults that can attend college, hold jobs, and form relationships once they learn life skills through ABA methods. ABA therapists are vital to treatment for children with autism to help them achieve the best possible level of functioning. Therapists work with children as well as their parents to help them reinforce the learning from therapy sessions. Autistic children have much to offer society. Learning how to navigate everyday situations and overcome the difficulties they encounter because of the autism will allow them to reach their potential and contribute to their world in valuable ways. When ABA changes the life of a child with autism, the therapist has used their skills to make a difference in the world by helping that child become more functional. Florida Tech’s Applied Behavioral Analysis bachelor’s degree offers hands-on experience through internships with several local intervention programs as well as the opportunity to work at the on-campus autism research facility, The Scott Center for Autism Treatment. 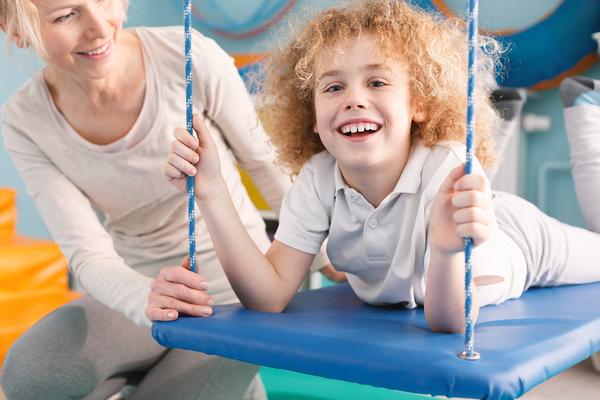 Learn more about our degree in applied behavior analysis today!